We are an independent group of experienced clinical therapists and school social workers who are passionate about our work and value the partnership we develop with families, schools and other providers to support growth and change. 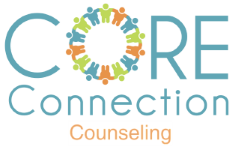 We provide individual therapy for children, adolescents and adults; parent education and support and offer unique group programs for social cognitive learning and emotional regulation. Colleen has over 20 years of experience working in private practice, and in public, therapeutic, and private schools. She works with children, adolescents, adults and families specializing in the treatment of anxiety disorders, Asperger’s Disorder, ADHD and social cognitive learning challenges. She also works with academically gifted and twice exceptional to develop coping skills and improve social-emotional functioning. Colleen has a Bachelor Degree in Psychology and a Master Degree in Social Work. In addition to being an Illinois Licensed Clinical Social Worker she is also an Illinois Licensed Professional Educator, School Social Worker. Her experience and advanced training have guided her therapy approaches which include: Cognitive Behavioral Therapy, Social ThinkingTM, Mindfulness and Dan Siegel's work in Interpersonal Neurobiology applying neuroscience to therapeutic interventions and parenting. She completed training in The Daring Way™ and Rising Strong™ curriculum based on the research of Dr. Brené Brown, PhD, LMSW. Certificate in Cognitive-Behavioral Therapy for Children, Adolescents and Families, Mark Reinecke, PhD, Professor and Chief, Department of Psychiatry at Northwestern University, Alexian Brothers, Sept. 2009-August 2010. Colleen enjoys spending time with family and traveling. At present, Shawn is a full time School Social Worker of 17 years who has also been practicing privately for 10 years. At Shawn's school, she began a clown program, which morphed into a sketch comedy program. She utilizes a theatrical approach in therapy, which creates an outstanding way for small groups of kids and teens to interact and practice social skills together. Shawn's background is in clowning, but has taken these skills and created an improv and sketch comedy group therapy program called Social Theatre. Social Theatre's purpose is to teach social skills through improv games and the collaborative writing process. Through collaborative writing, Shawn has found that kids can benefit by learning how to work through the process of producing a common product. Moreover, being able to laugh at our social fails can help heal and reflect while also creating scenarios that demonstrate social success with more effective social skills. In Shawn's multitude of experiences, she has worked in the areas of domestic violence, child welfare, and in education. In Education, I have served children of many populations, including children with learning disabilities, across the spectrum autism disorders, communication disorders, emotional and behavioral difficulties, and multi-needs. Shawn's education includes a Bachelor Degree in Psychology from North Central College, A Master Degree in Social Work from Jane Addams College of Social Work at UIC, and a second Masters Degree in School Administration from North Eastern Illinois University. Since 2005, I have been a Licensed Clinical Social Worker. Along my professional journey, I have collected many different therapy tools including Social Thinking®, Mindfulness Training, Assertiveness Training, and Cognitive Behavioral Therapy. Shaw Amador has attended Social Thinking Training conferences and presented at the Providers Conference in San Jose in June of 2016 on her unique approach to teaching Social Thinking. Jessica has worked full-time in the school setting for 10 years. She has worked in both regular education and special education programs with children ranging in age from 3 to adolescence. She specializes in working with children with Anxiety Disorders and Autism Spectrum Disorders. As a Clinician, Jessica focuses on each child’s unique strengths and talents to engage them in the therapy process. She has a passion for helping kids increase their emotional awareness and coping strategies. In addition, she helps kids learn to Think Social ™ and better navigate their social worlds. She has an interest in incorporating yoga and mindfulness strategies into her work with clients. She has attended several professional workshops that have greatly influence her practice including: Zones of Regulation®, Social Thinking®, and YogaKids. When not at school or running therapy groups, Jessica spends time with her family. Jessica earned her Master in Social Work degree from Jane Addams College of Social Work at UIC, and her Bachelor of Arts Degree in Psychology and English from University of Wisconsin-Madison. Amy Malone has a depth of experience working with children, adolescents, and families following a career as a school social worker. She focuses on building relationships with her positive energy and empathy. She is diligent and creative in helping her clients find solutions that work for them. Amy has particular strengths in addressing issues related to ADHD, Autism Spectrum Disorder, self-esteem, anxiety, and grief/loss. Helping adults cope with life transitions is another special interest of hers. She assists her clients in developing goals, new disciplines, proactive behaviors and healthy activities. She employs practical strategies, humor, and activities in sessions to help clients develop confidence and achieve positive change. Rather than clients defining themselves by their limitations, she helps them develop identities built on strengths, interests, and skills. Ongoing evaluation of sessions will be instrumental to her practice in order to enhance effectiveness. Having raised two children, Amy utilizes her “learning curve” experience to help parents with their journey. She enjoys music, cooking, traveling, family, and physical activities. Jackie is a licensed clinical social worker and has over 6 years experience working as a full time school social worker. She works with children and adolescents, ranging in ages from four to eighteen, particularly those challenged by needs related to anxiety disorders, development and cognitive disabilities and autism spectrum disorder. Jackie has been trained in Applied Behavior Analysis (ABA) and is particularly interested in the use of mindfulness techniques and yoga in therapy. Additionally, she is a Nonviolent Crisis Intervention (NCI) Certified Instructor, and provides training to staff members in her district, on how best to deescalate challenging behaviors in the school setting. Jackie has a Master of Arts in Social Work from the University of Chicago’s School of Social Service Administration, as well as a Bachelor of Arts in Communication, specializing in Cultural Studies and Sociology from DePaul University. In her free time, she enjoys running, watching movies and spending time with her family. Jamie is a licensed clinical social worker with over 10 years of experience working in public and therapeutic schools, hospital programs, and home based services. In addition to private therapy, Jamie is a school social worker. Jamie’s focus area is working with children, adolescents, teens, and young adults who struggle with social, emotional, developmental, and behavioral challenges associated with Autism Spectrum Disorders, anxiety, adjustment problems, depression, and learning disabilities. Jamie believes whole-heartedly in cross collaboration with families and other disciplines to find the best solutions to intervene and support the whole child. She aims to provide a supportive and nurturing atmosphere to grow, while remaining solution focused. Jamie uses many tools in therapy including, cognitive behavioral strategies, mindfulness, principles of Applied Behavior Analysis, Social Thinking®, and direct social skills training. Jamie has a Bachelor of Science degree in Social Work from Salve Regina University in Rhode Island and a Masters in Social Work from the University of Illinois at Chicago. Jamie also received her Illinois Type 73 School Social Worker Certification from Aurora University. When Jamie is not working with students, she can likely be found on a family adventure with her husband and young children, reading, or trying new recipes.